Camping can be fun for humans and pets alike. It provides an opportunity to explore a new place, be one with nature and eat some yummy campfire treats. Having a pet on a camping trip can make your little tent feel a more like home, and it gives them an opportunity to get out of the house and experience something new. Whenever your pet is in a new environment, it is important to keep a close eye on them. While camping brings new opportunities for adventure, it also comes with new dangers. Check out these quick tips to keep your pet safe on your next camping trip. Having a bonfire is a classic camping activity, but just like kids, pets are not always aware of the danger it can pose. When a bonfire is near, keeping a close eye on your curious cat or pup will ensure they are safe. If you are worried they might get too close, tie their leash to a tree nearby. They will still be able to experience the fun and avoid the risks. Keeping a pet first aid kit in your car can ensure your pet is safe in any circumstance. It is really simple to put together a DIY kit and will also come in good use at home. Check out this article to learn how to create your own. S’mores make a great campfire snack for humans but can be dangerous for your four-legged friends. Common campfire treats like chocolate and marshmallows are not good for animals. To keep your pet happy, be sure to bring along plenty of Supreme Source treats, that way they can share in the fun of having delicious treats. When you decide to hit the lake, keep in mind that your pet may not be as good of a swimmer as you. Dogs and cats alike can quickly be in harm’s way if they are not carefully monitored in the water. 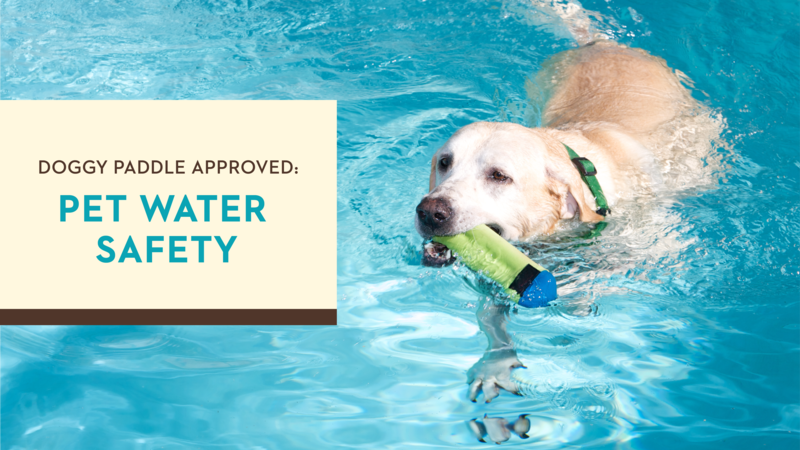 Consider buying pet life vests and check out this article to learn more about water safety for your pet. The great outdoors is full of a variety of wildlife, some of which your pet has never seen. While some animals are harmless, others might feel easily threatened. In order to avoid a dangerous situation, keep your pet on a leash and make sure you know where he is at all times.